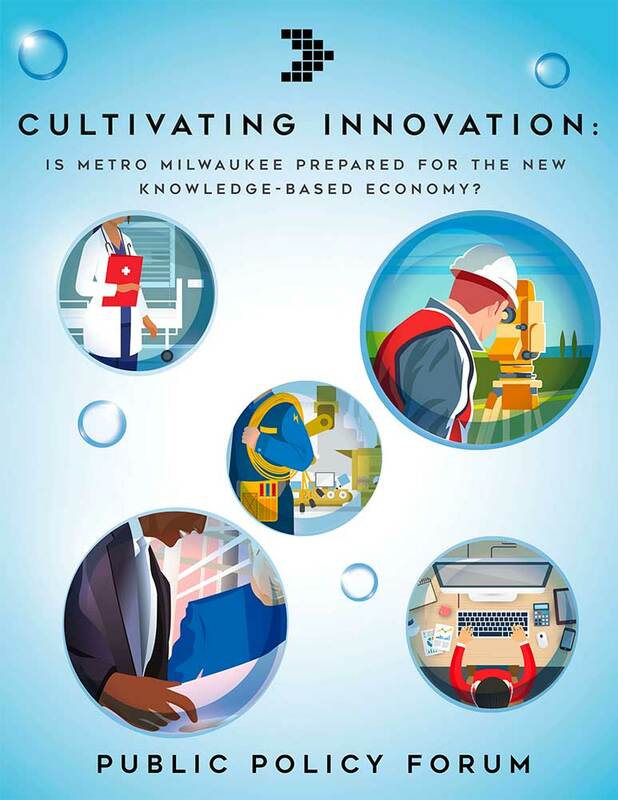 Is metro Milwaukee prepared for the new knowledge-based economy? Our latest research assesses Metro Milwaukee’s progress on a range of metrics associated with knowledge and innovation. We find our region has made strides in increasing educational attainment levels and adding scientists, engineers, and technology workers to the regional talent pool. Yet, the news is not as encouraging with regard to entrepreneurship and capital formation. The Milwaukee area’s talent pool is strengthening and appears to be competitive with our peers. Educational attainment is rising and the region’s workforce is competitive with our comparison metro areas in its concentration of individuals employed in occupations associated with knowledge and innovation. Our region is underperforming in its rates of business development and business survival. While entrepreneurship activity appears to have slowed nationally over the long term, the problem appears to be particularly acute in our region. In addition, metro Milwaukee’s rate of business survival does not appear to make up for its sluggish pace of business creation. Capital formation remains an area of concern for the region. Federal grants and federally-guaranteed loans for business startups, expansions, and R&D activities have declined at a faster rate in metro Milwaukee than nationally, and Milwaukee underperforms almost all of the peer metro areas in attracting venture capital funding.